Hey y'all! 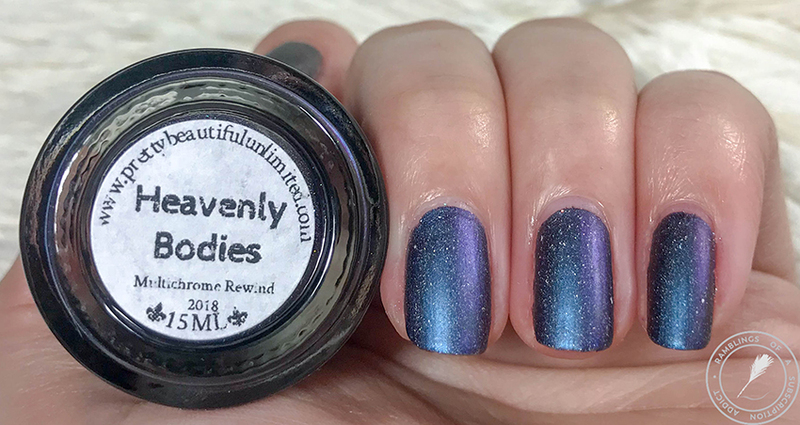 This is the post that's specific to Heavenly Bodies. 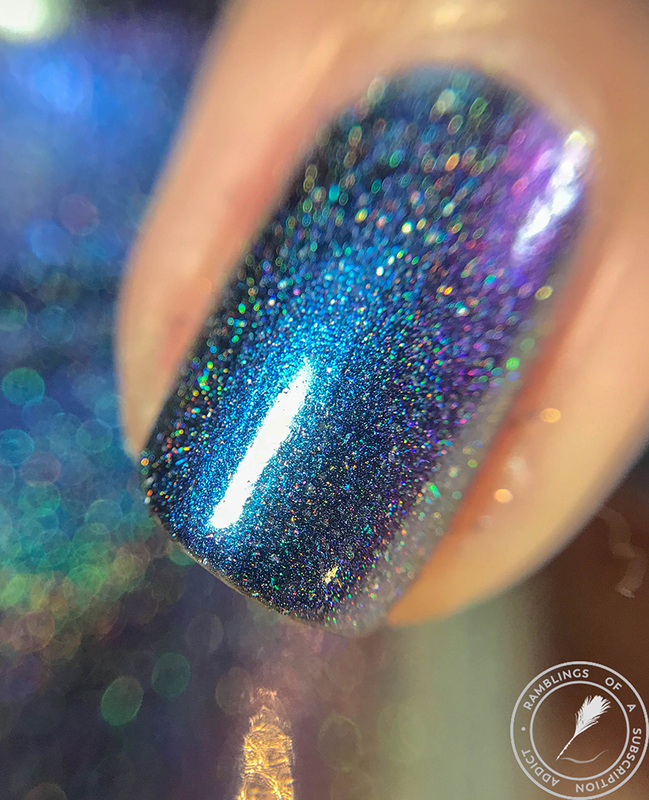 If you didn't get here from the group post, make sure you head over there to see the other eight polishes in this collection. 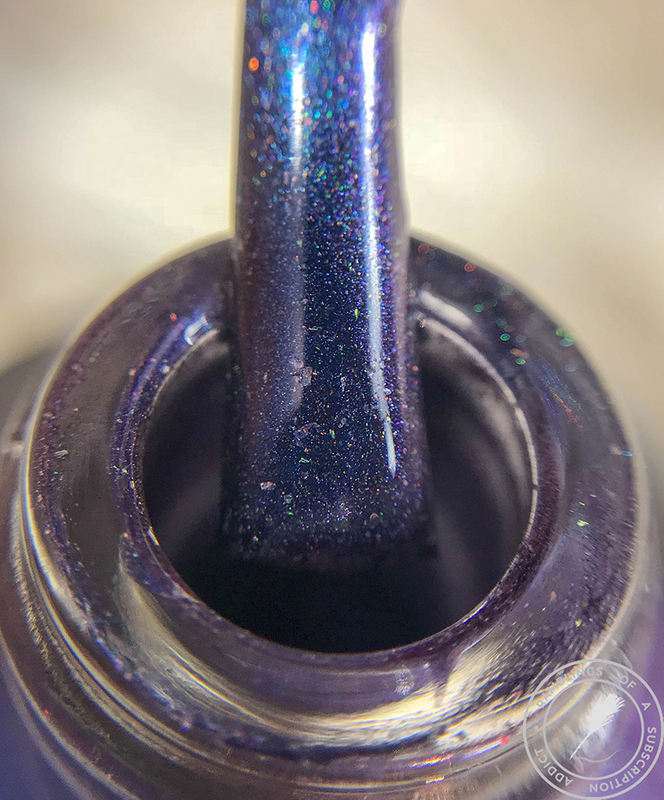 The collection is available now in holographic and sans holographic with each option being $10.50. 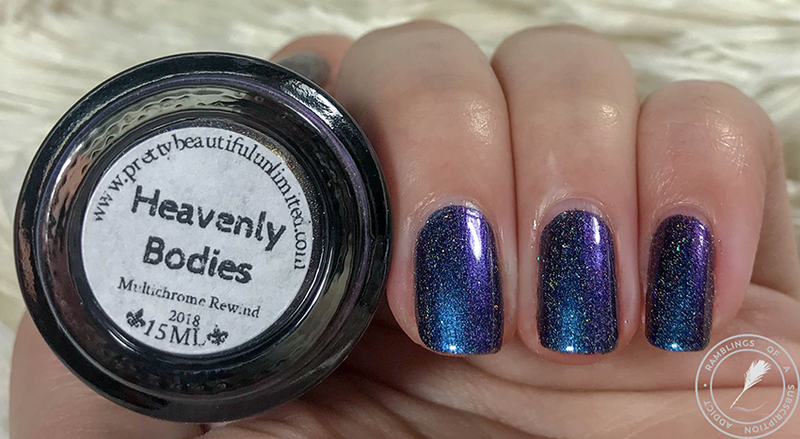 Heavenly Bodies is a dark purple tinted base with blue to purple to gold shifting multichrome pigment and scattered holographic and micro holographic flakies. 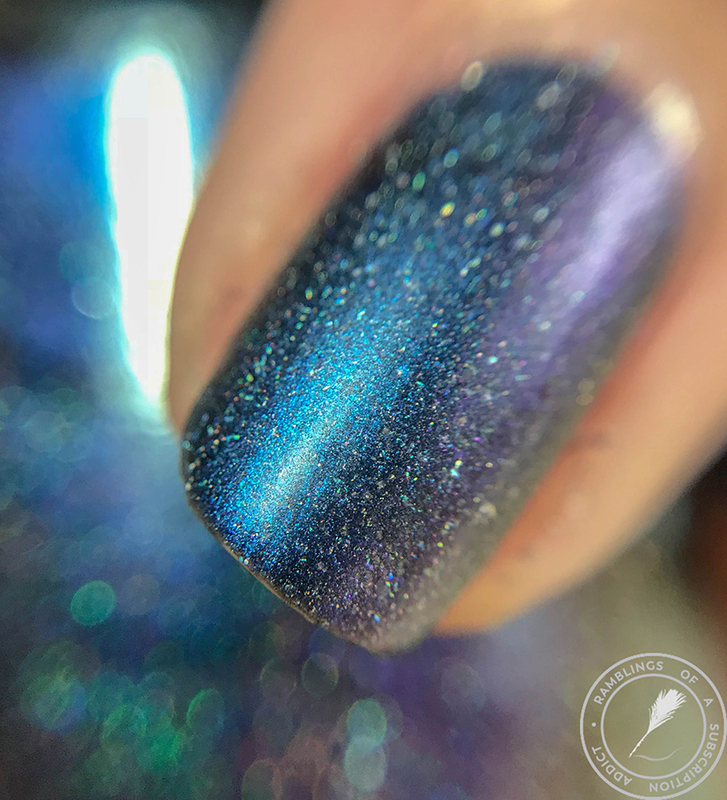 This polish is legitimately one of my favorites of the collection. 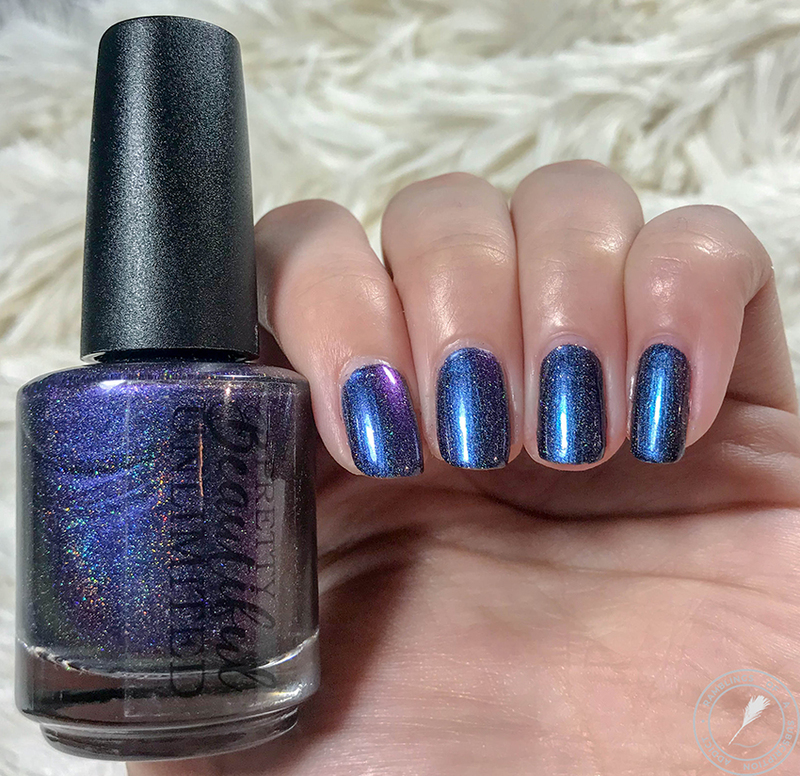 Blue and purple together with just a hint of something sparkly is the perfect combo in my opinion. 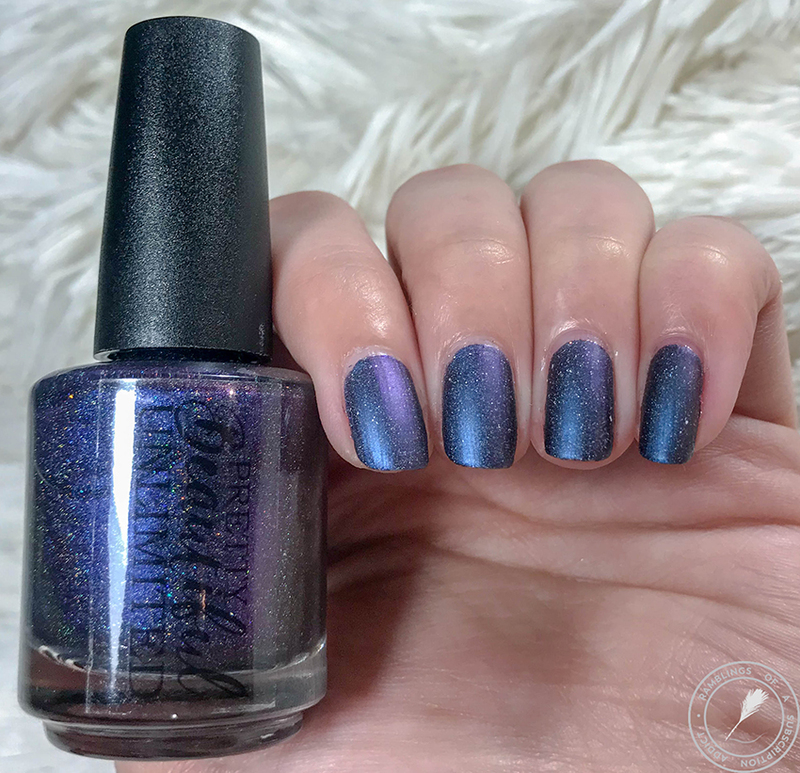 With a matte top coat, the polish sort of blends into a blurple. It's hard to describe without seeing it in person but it's such a strange phenomenon.